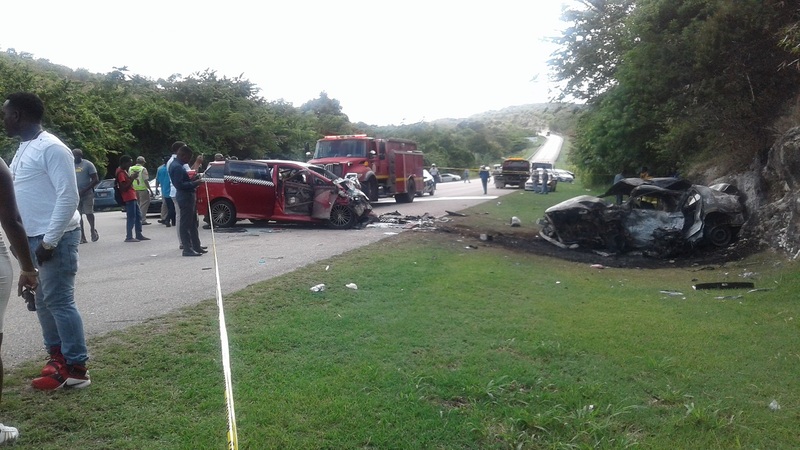 The scene of Monday's fatal motor vehicle crash on the Duncans main road in Trelawny. 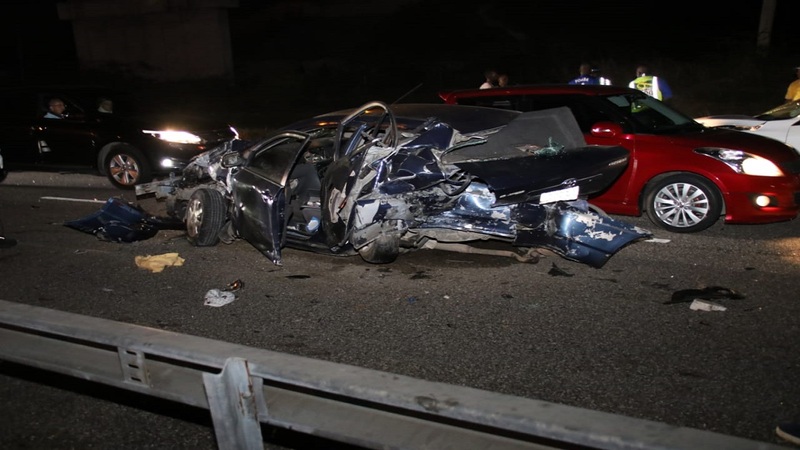 In the third fatal road crash along the nation’s highways within 24 hours, three persons perished along the Duncans main road in Trelawny on Monday. Two were burnt to death in one of the vehicles that collided, and the other from the impact in a second vehicle. In the amateur video below, which captured some of the scene after the collision, fire personnel are seen extinguishing the blazing car, while onlookers speculate about the fate of the persons who were involved in crashed. 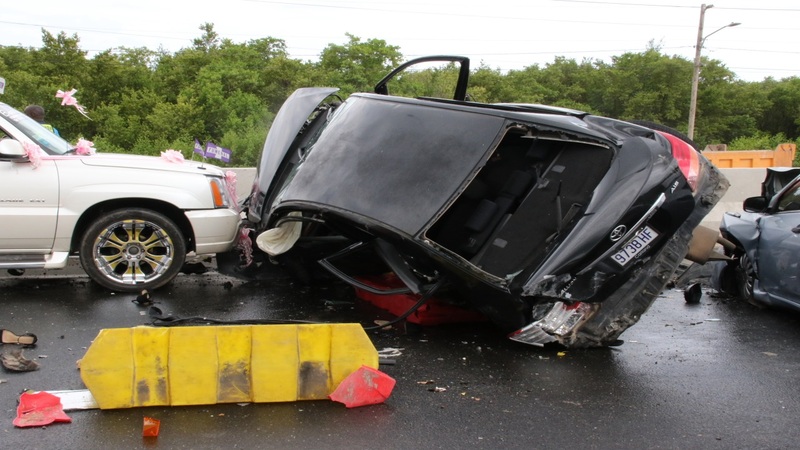 Since Sunday afternoon, other fatal crashes have occurred on Mandela Highway in St Andrew and the PJ Patterson (toll) Highway near Old Harbour in St Catherine. Five persons lost their lives in the crashes, many others were left nursing serious injuries, and more than 15 vehicles were badly damaged in the process.